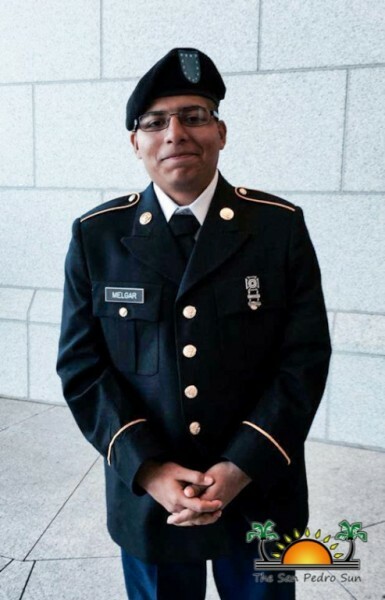 American Author Henry David Thoreau once said, “Go confidently in the direction of your dreams, live the life you have always imagined.” That is exactly what 19-year-old Joe “Joey” Amelio Melgar did when he followed his dream to become a soldier in the United States Amy. 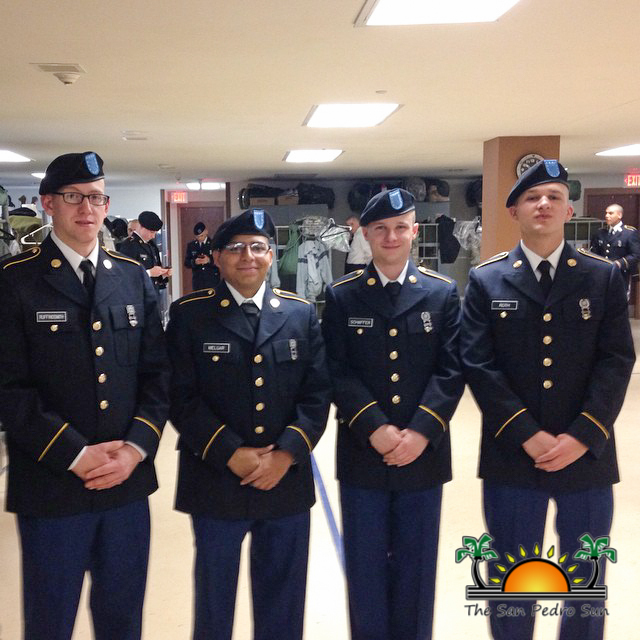 The Sanpedrano graduated with top honors on February 5th from the Fort Benning army post located in Georgia, USA. Joey, as he is affectionately known by many on Ambergris Caye, is the son of Pamela Zetina. The young Belizean is pursuing his dream of being in the US Army and will be specializing in General Mechanics. Joey explained that as part of the requirements, he completed three phases of training which started on November 3rd. In the first phase called “Red-Phase” Melgar was able to develop physical fitness, in which the trainers convert civilians into soldiers. In the Blue phase, his training consisted of using weapons that teach soldiers to become proficient shooters. In the “White-Phase” Melgar was able to complete field exercises in the forest and simulated missions using all his skills in order to complete the mission. Melgar was with the 2nd battalion known as the Panthers in the Charlie 2-47 Company. He was also a team leader, meaning Joey was responsible for four other soldiers in his bay and because of his dedication, was promoted from E-1 to E-2 group. Joey also received two awards, the first for becoming one of the fastest runners with a clocking score of 12:05 minutes in a two-mile run. He was also awarded with the BRM "basic rifle marksmanship" award for sharp shooter, in which he was able to strike down 35 out of 40 targets. 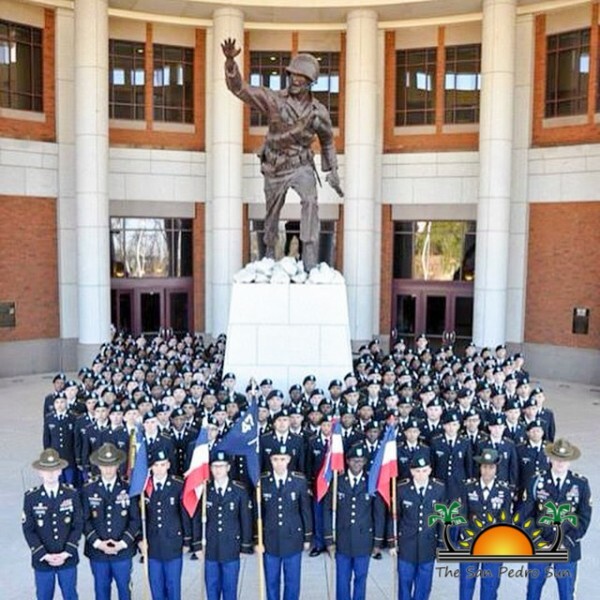 The Fort Benning, Georgia post is one of the most decorated and best bases in the USA, known for developing the best soldiers in the army. Now that Joey has graduated, he will go into Advanced Individual Training at Fort Lee Virginia, USA. He is pursuing his studies in general mechanics in the military, where he will learn to repair Black Hawk and Apache helicopters. His first training will last for 12 weeks, after which he is expected to train in the air learning to jump out of planes. The San Pedro Sun joins the community in saluting US Soldier Joe Melgar and we wish him all the best as he continues to follow his dreams. Under the Sun: Congratulations international graduates!